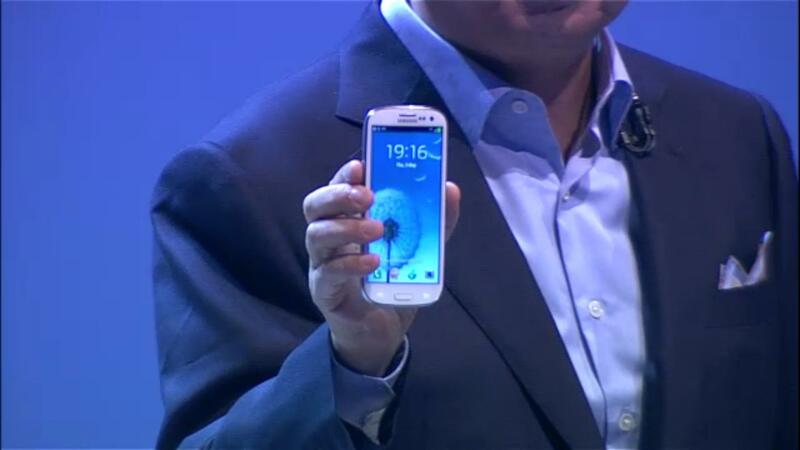 At its Mobile Unpacked event in London, Samsung has revealed the new Galaxy S III, its next flagship phone. It’s target: Apple. While the S III is clearly an attempt to top rival phones from Motorola, LG, and HTC, Samsung seems most influenced by the iPhone 4S. The new Galaxy has a feature called S Voice, which is a clear attempt to add Siri-like functionality to the Android world. Official pictures from Samsung are above. A run down of features and specs are below. 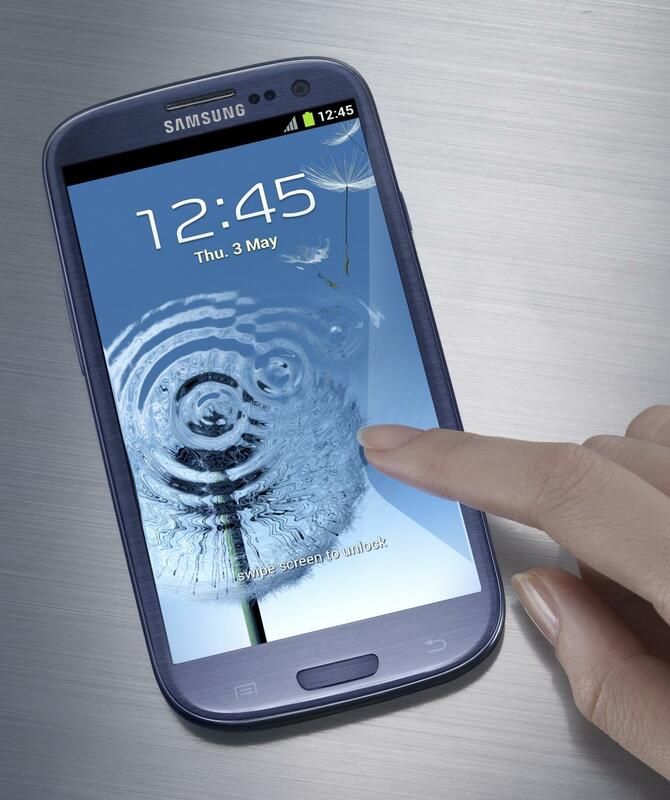 Samsung claims that the S III can hear and respond to commands, much like Apple’s Siri. If you say “Hi Galaxy,” or any of 4 other commands you can set, the phone will automatically wake up, recognizing the command and your voice. If your phone alarm goes off, you can just say “snooze” instead of hitting the button. You can play songs, adjust volume, send texts, send emails, organize your schedule, and automatically launch the camera with voice commands. In an attempt to make interaction even easier, the phone also has “direct call” which will automatically dial whoever you are texting or conversing as soon as you hold it up to your ear. Also, if you are reading a Web page, the front camera will watch your face and won’t shut the screen off until it knows that you are not looking at the screen. We look forward to trying out the extend and reliability of these features. S-Voice understands 8 languages, with more to come. This feature wasn’t fully explained, but it seems that the Galaxy S III will monitor who’s been calling and texting you while you were away from your phone and give you a small buzz to let you know that your boss called five times. We’re anxious to see how it reminds you of important things. Though many of the new features of the phone seem nice, Samsung has gotten a bit cheesy by taking the theme of the phone a bit too literally. The tagline of the phone is: “Designed for humans and inspired by nature.” It runs on Android 4.0 (Ice Cream Sandwich), but the interface has been modified by a new version of TouchWiz that is “enhanced by human emotion and nature.” In functional terms, this means that the background of your phone is water, and when you get a text, a water drip sound plays. There are other silly sounding enhancements as well. Hopefully they add up to a nice experience. Marketing overload: Samsung got so literal with its nature theme that it has promised to donate $100 to the World Wildlife Fund for anyone who attends one of its announcement events. Where was this concern for nature before the S III marketing message was finalized? We’re not sure. Either way, the WWF is a good organization. At the unveiling, Samsung also played music that was so epic and self-aggrandizing that it almost diminished the very cool new features this phone has to offer. The event was not unlike an apple event, though a bit too epic for its own good. The announcer even had “one more thing” to show everyone. While the late Steve Jobs would have unveiled a crazy new feature or device at this point, Samsung showed off its new media booth. Too epic, Samsung…too epic. Luckily, few of you probably watched the event. 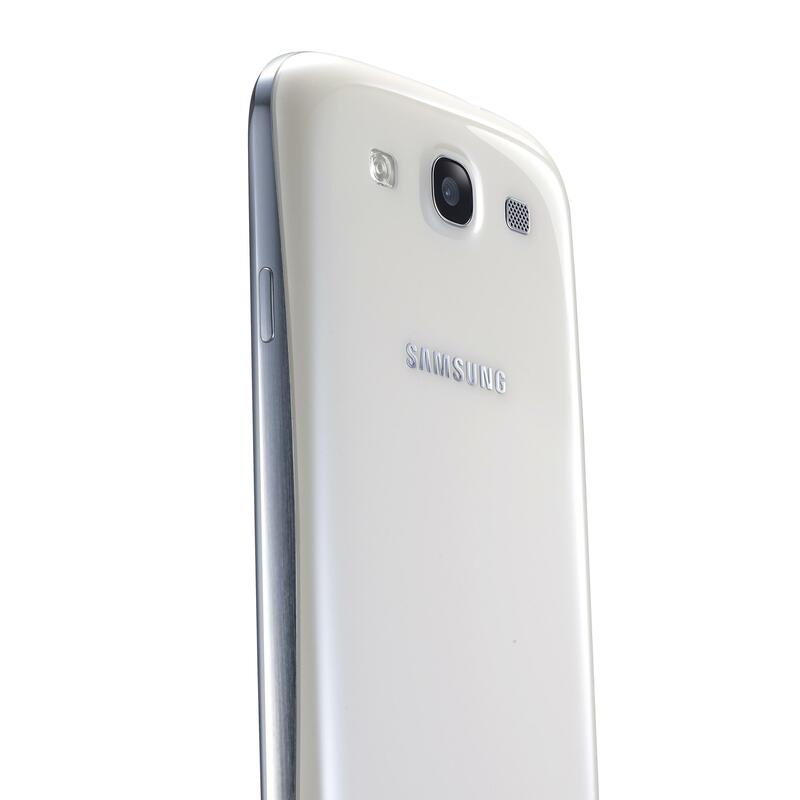 The S III’s 8-megapixel rear camera seems to be fast and a bit of an upgrade from the Galaxy Nexus (specs are below). In an attempt to play catch up to HTC’s One S and One X phones, the S III now has a burst shot mode that lets you take up to 8 pictures and then select your favorite. You can also zoom in on faces now or watch a slideshow of faces. The camera and gallery are enhanced with Facebook tagging, allowing the phone to automatically recognize and tag your friends. Tap on their faces to launch the Facebook app and go right to their profile pages. With “Buddy Photo Share” you can instantly share photos with all the friends who are tagged in the image. Shiny. Pop-up play allows you to minimize a video or whatever you’re doing, and watch it while you are doing something else. You can drag the tiny video around the screen so you can attempt to read around it while it plays. We can imagine some uses for this technology, though we hope it doesn’t slow the phone down too much. Samsung wants to emphasize sharing. S-Beam is an upgraded version of Google’s Android Beam technology, which lets you tap two phones together to share an app or page. The new version has Wi-Fi direct integrated for faster data transfer. To use it: “choose a video, put phone next to friend’s phone, touch content you want to stream, and away it goes.” According to Samsung it’s the “fastest and easiest way to share content with your friends,” assuming, of course, they own a Galaxy S III. AllShare Cast resembles HTC’s new Media Link HD technology we covered in our review of the One X. It uses Wi-Fi direct to mirror your screen with a TV or other device. 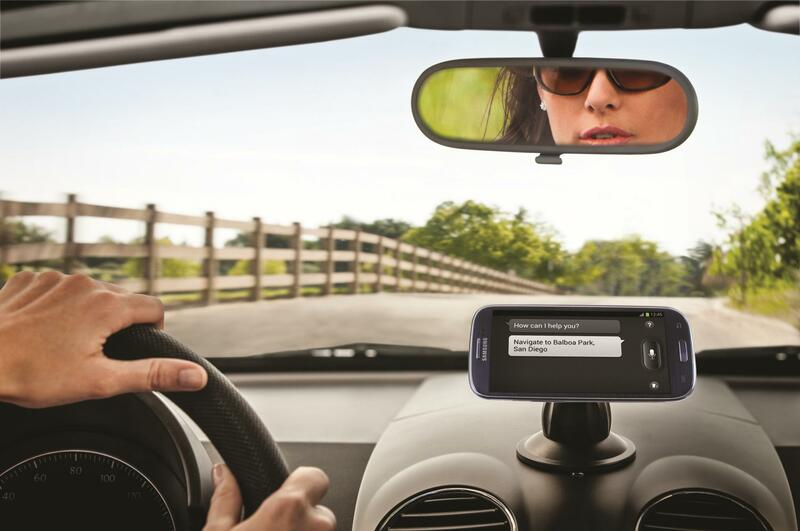 Car Link: Also responding to HTC, the S III has an enhanced car docking mode (read about HTC’s Car Stereo Clip)j, which allows you to view and safely access more data while in the car. If you’re in Europe, May 29 will be the happy day for you. Samsung does not have a firm US release information yet, but did say that it will be coming in the “summer of 2012” and is optimized for LTE and HSPA+ networks, hinting that the company is hoping to release the phone on all major carriers: AT&T, Sprint, T-Mobile, and Verizon. We were not able to travel to London to try the phone live, but we will hopefully get to test it out at a US event next week. 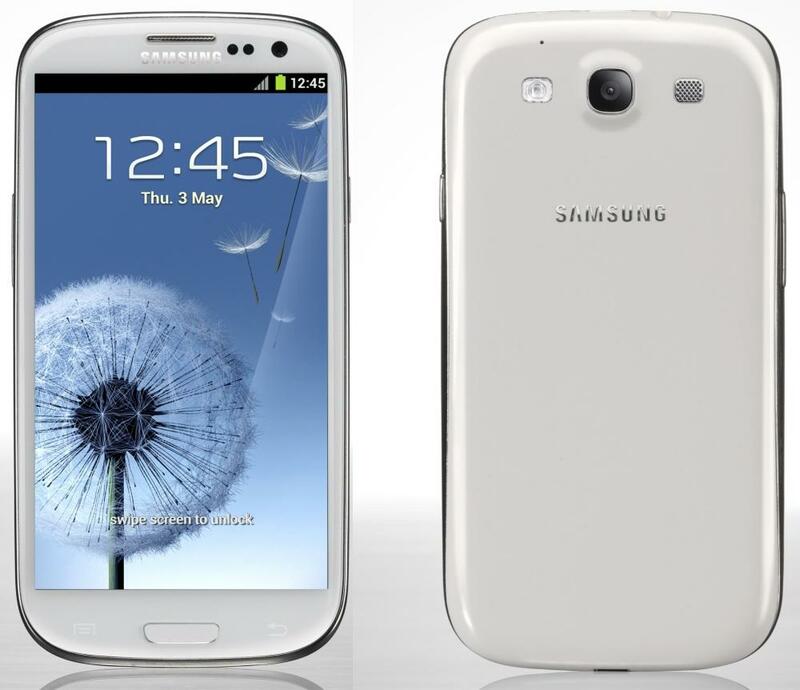 Until then, we’re fairly optimistic about the S III. It appears that Samsung is trying to take on HTC and Apple with this new release, by enhancing the camera and creating Siri-like features. The real innovative feature here may be that the screen won’t automatically go dark while you’re reading a page — the phone will use its camera to see if you’re looking at the screen. That’s a cool feature. Everything else seems like a nice and natural step up. This is undoubtedly going to be one of the biggest phones of the year. Hopefully its battery life will be better than the Galaxy Nexus. If not, HTC may have a leg up.